ABC, MARC ALMOND, TONY HADLEY and NIK KERSHAW headlining our Glasgow show. Support acts at all venues include BONEY M, ALTERED IMAGES, TOYAH, JONA LEWIE, THEN JERICO, SONIA, BOW WOW WOW’S ANNABELLA, PETER COYLE ex LOTUS EATERS and DR & THE MEDICS. 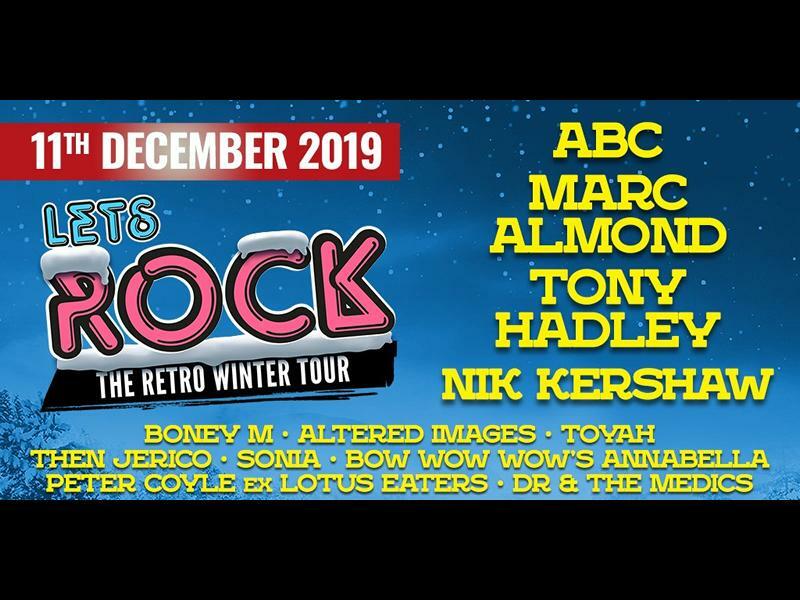 While we take every opportunity to ensure the details for Let’s Rock - The Retro Winter Tour 2019 are accurate, we always advise that you contact the event organiser before setting out for the event to avoid disapointment.